We'll be beginning our Best of 2015 coverage next week, but before that we have one more episode actually from 2015 to share with you, this time regarding a couple of cool new Horror Shows. 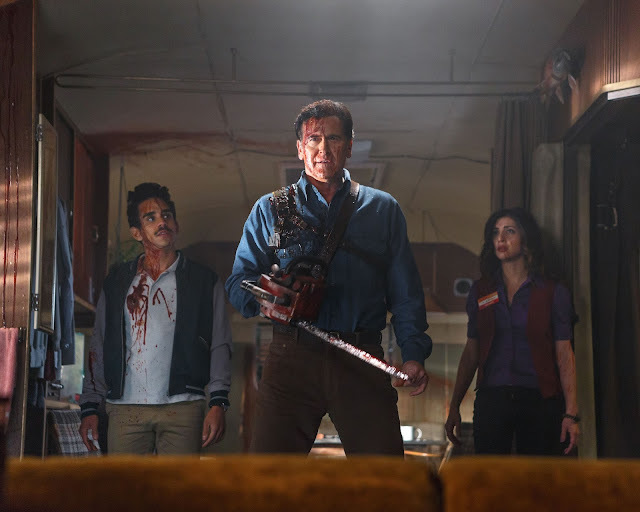 First up there's the Officially Raimi-sanctioned and Bruce Campbell starring 'Lega-canon-sequel' Ash Vs Evil Dead, which resurrects the old gorey franchise into bite-sized TV episode form. And while we're on the subject of 'successfully transitioning a classic horror movie franchise from the big screen to the small screen', some of us have been watching the MTV-produced Scream TV show as well, which apparently isn't too bad either. 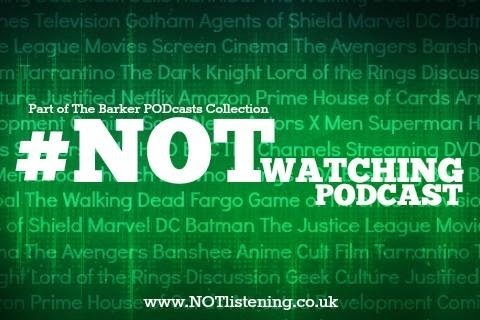 It's all about the slashin' n' the mashin' on this week's #NOTwatching Podcast!